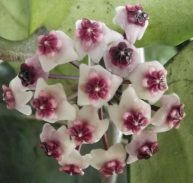 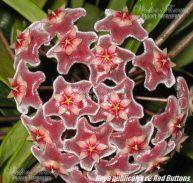 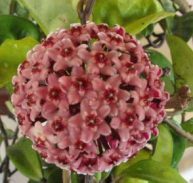 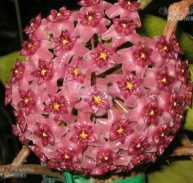 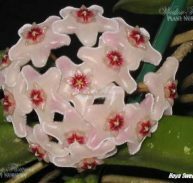 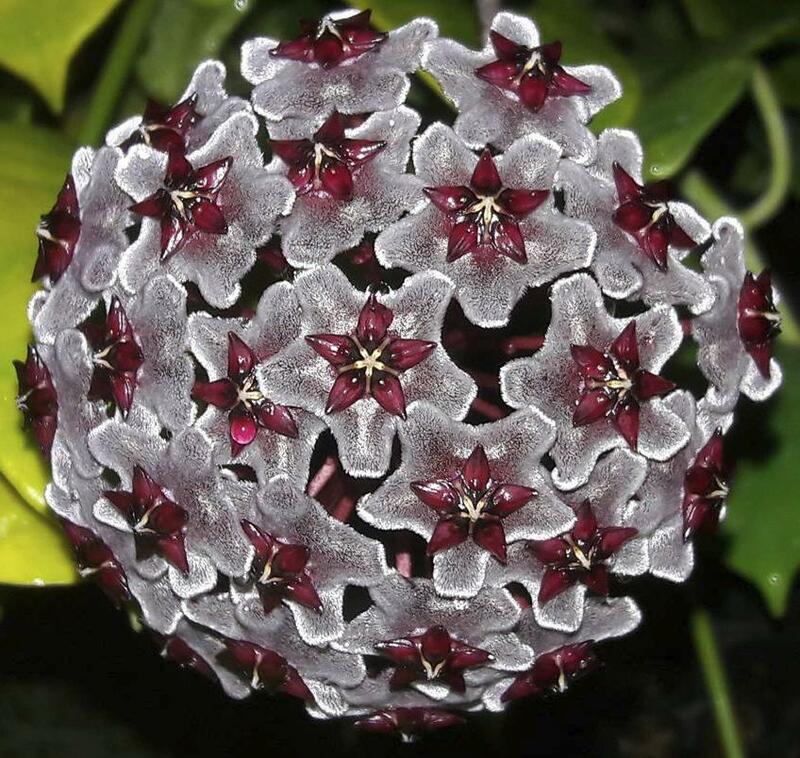 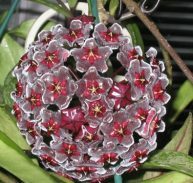 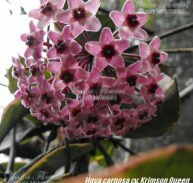 Hoya chimera is better known as Hoya publicalyx ‘Royal Hawaiian Purple’ and can flower pink, Magenta (Pink to Purple), Fuchsia (Red to Purple), Dark Purple to Black or White to near White. 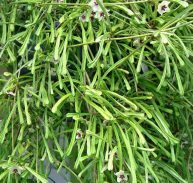 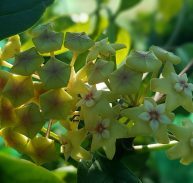 The flowering time can vary from spring to early summer, from mid-summer to late summer or early autumn but it is known to flower repeatedly. 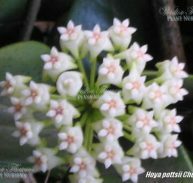 Hoya publicalyx cv. 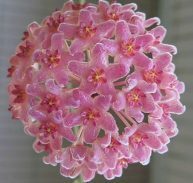 ‘Royal Hawaiian Purple’ can grow to around 4 to 6 metres. 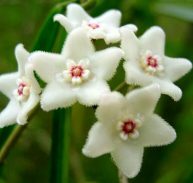 It prefers dappled shade with some full sun preferably morning sun. 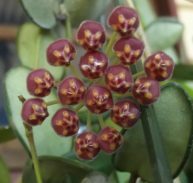 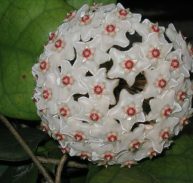 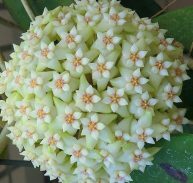 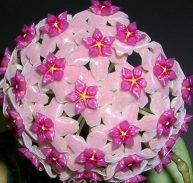 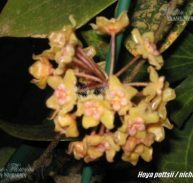 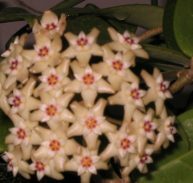 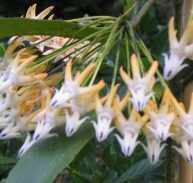 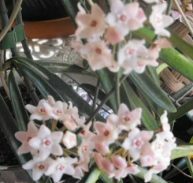 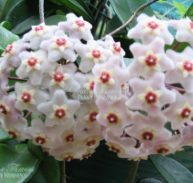 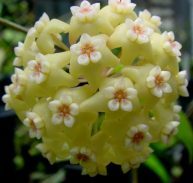 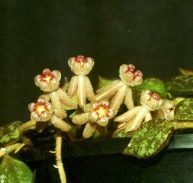 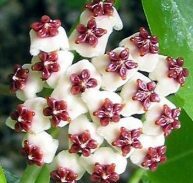 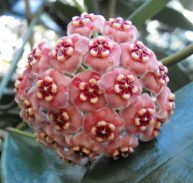 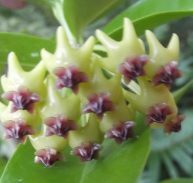 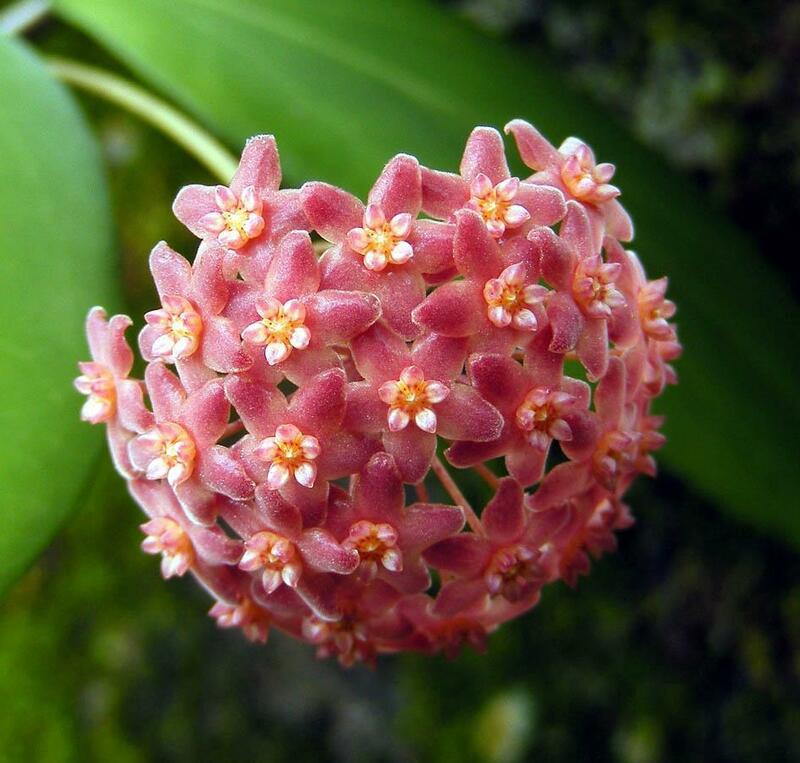 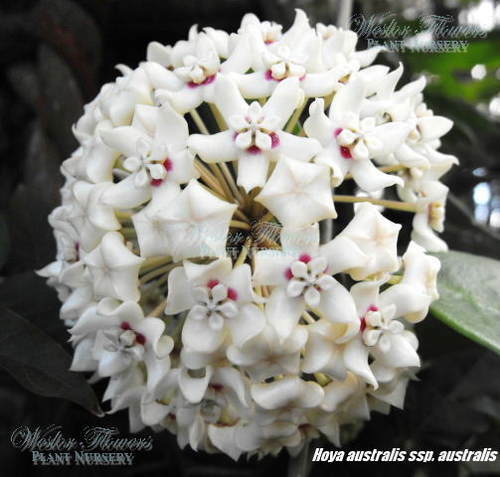 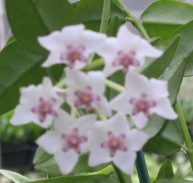 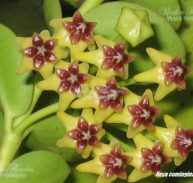 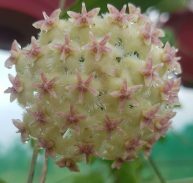 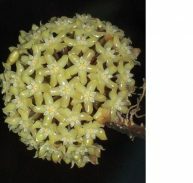 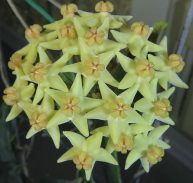 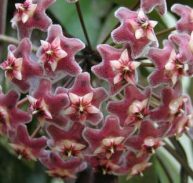 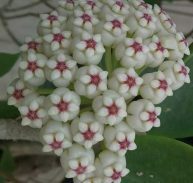 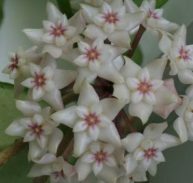 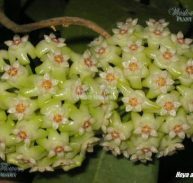 It is a bird, butterfly and bee attracting Hoya and the flowers somewhat fragrant. 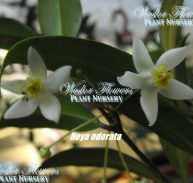 It prefers a Ph neutral soil (6.6 to 7.5) or mildly acid soil (6 to 6.5) and gravelly soil.